How to correctly connect audio plug to LM386? What should I do now - how to connect this audio jack to my LM386's input? If you want both the left and right channels to provide audio you need to make a little mixer. Two resistors (around 10KΩ) connected to the left and right inputs (pins 2 and 5), then joined together, will make a simple mixer. Then you link that to the LM386's IN + through a capacitor (around 10µF is usually OK). You ignore pins 3 and 4 - they are used to pass the audio through to another destination (internal speakers) when there is no plug in the socket. Usually the tip is the right channel, the ring is the left channel, and the sleeve is ground. Therefore on your diagram, 1 is the (-) input, 2 is the (+) if you want to use the left channel, 5 is the (+) if you want to use the right channel. Pins 3 and 4 are connected to 2 and 5 when there is nothing connected and disconnected when something is plugged in, which can be used for example to detect whether something has been plugged in or not. Of course you have to decide which channel of the original source to use, since as you said, the LM386 is mono. Not the answer you're looking for? 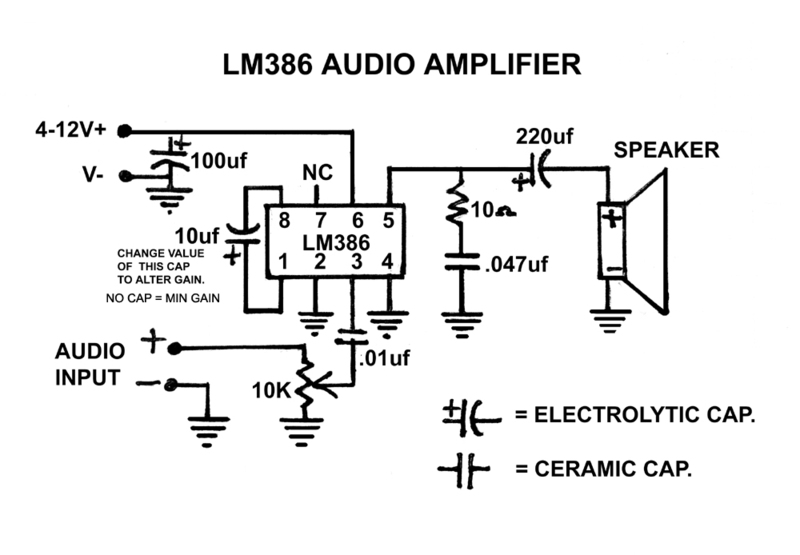 Browse other questions tagged audio schematics plug lm386 or ask your own question. How to make a proper DC Power + Battery circuit for audio effect pedals? 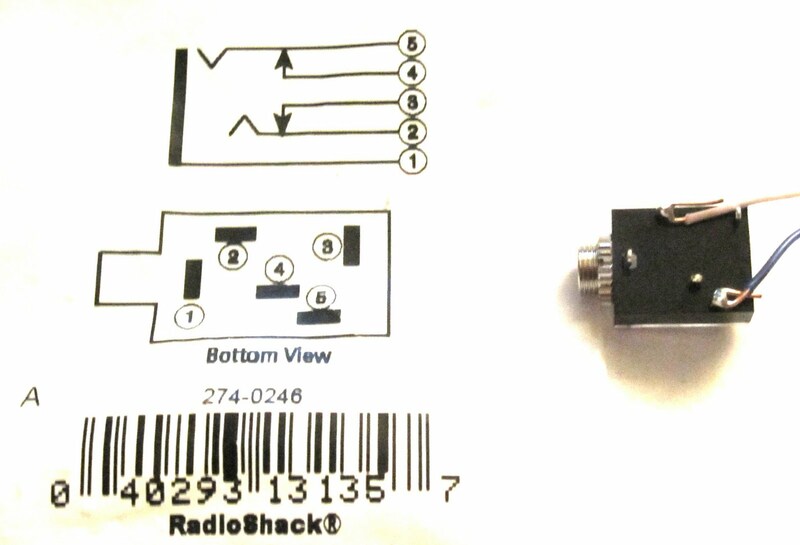 Mono over stereo jack with no GND?